Several months ago I heard that the Revolution Series applications were open, I thought it would be good fun to ride them so entered. A few weeks later I had an email saying that I had been accepted, there are five rounds, three in Manchester, one in London and one in Glasgow. The youth riders compete in the Hoy Future Stars competition alongside the professional riders. I had been selected to ride in the Raleigh GAC team along with youth riders James Codd, Leanne Hall and Aleshia Mellor. Our two pro-riders were Jack Escritt and Fraser Martin. The first round was in Manchester, a track I have never ridden. My Dad dropped me off at the track entrance because parents are not allowed in track centre. I got signed on and made my way to the track centre, When I first got there I didn’t really know what was going on because it was my first time. We got to meet the Raleigh GAC pros, we also got our kit which was very comfy. It didn’t take long for me to get used to how things worked and enjoyed it. 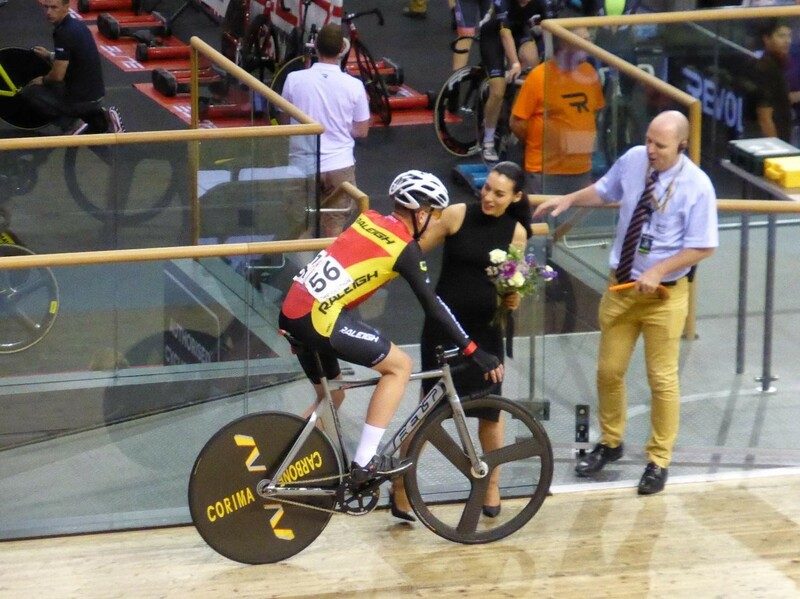 Before the racing there was a brief interview with Elinor Barker, Ed Clancy, Laura Trott, Katie Archibald, Jason Kenny and Owain Doull, We were all introduced and did a lap of the track, it was really good being in a velodrome with a big crowd. We competed in three races, points, 6 lap dash and scratch. The event finished at 10.30pm and we got home just after 1AM! The second round was at Glasgow another track I have not ridden. We decided to drive to Wigan Friday night and travel the rest of the journey Saturday morning. I had to do a training ride Saturday morning, so dad and I got up early and did a 2 hour ride, Back at the hotel we had breakfast and then set off for Glasgow. We got there at about 3pm, I made my way to the track centre where I sat down in the Raleigh GAC pen. There weren’t many people there because it was the break in between the afternoon and evening sessions. When the team arrived we got our kit and got to go out on to the track for the track warm up. The Glasgow track is the best track I have ridden on! The racing was the same as before, first up was the points race. I was feeling good but sat in the bunch for the first sprint and I was looking for a chance to break away which didn't come around until 9 laps to go when the bunch moved up and I attacked. The sprints were every 5 laps, so I had two chances to get points. I won the first lot of points and I was out to win the last sprint but got overtaken on the line and got second so I got 8 points which won me the race. 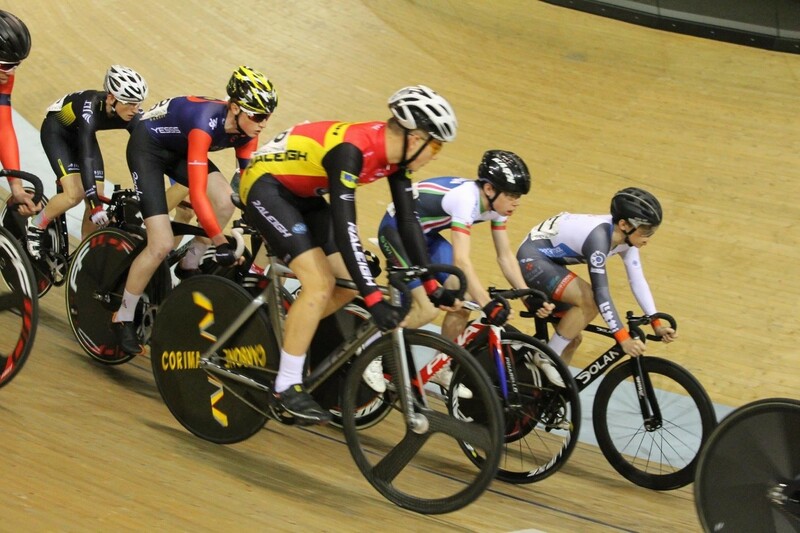 And finally the scratch race, The scratch was a good race, it started off slow, I was still feeling good and wanted another chance to attack. I saw a chance with 6 laps to go and I went with another rider from Team Wiggins, we stayed off until the last lap. The other rider ended up winning but I got swamped by the bunch on the line and got 5th. After all of my races Lewis Oliva (ex BCDS member) came over to me and congratulated me on my win which was really nice to hear from a professional rider. After the racing finished we packed up and headed back, we arrived in our hotel in Carlisle just after midnight. After breakfast we headed to Newport to pick up Sam who was doing a session there. I fitted some lights to my bike and rode back home to finish off an enjoyable and tiring weekend! Next up is Manchester and then there are two ‘Champions League’ rounds (Manchester and Lee Valley) with new teams including Team Sky.